Ready to make the plunge? You can do so with our C&C Starter Pack! Save 25% off the regular price! Also available in Print or Print/Digital Combo! This includes everything you need to get going in a game of Castles & Crusdes. 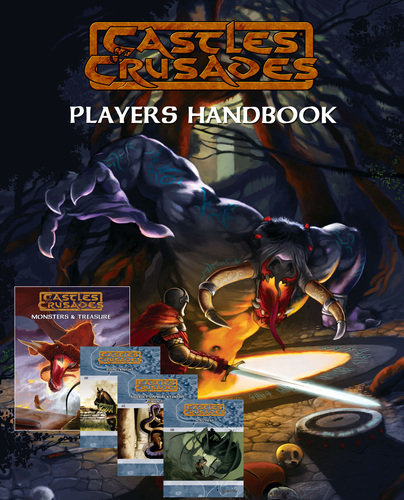 Be sure to check out related products below, to fully flesh out your game table and learn why C&C is the original easy to learn, quick to play RPG that it is.